Enterprise for Education (E4E) is a dedicated public private sector partnership that aims to link employers with schools and students in a bid to implement meaningful real world development opportunities for all our young people. By creating a better understanding of career opportunities and raising employability and enterprise skills, we are providing a larger pool of home-grown talent for local employers. This involves raising students’ self-belief, motivation and aspirations, informing and inspiring them about the wide range of career opportunities available to them and helping them achieve their best by unlocking their true potential. We recognize the value of local employers and the wider community engaging with young people. They impact they can have on a young person’s confidence, aspirations and motivation is huge. This all helps develop happier, more brilliant young people that are better prepared for their future. Youth unemployment is three times higher than the national average showing that young people are not always in a position to take advantage of this changing landscape. We want young people to be prepared for it. e4e was originally founded by Derby City Council in November 2014, with a project team and board of directors made up of representatives from Derby City Council, the city’s schools and local business community, including major employers such ad Rolls-Royce and local SME’s. 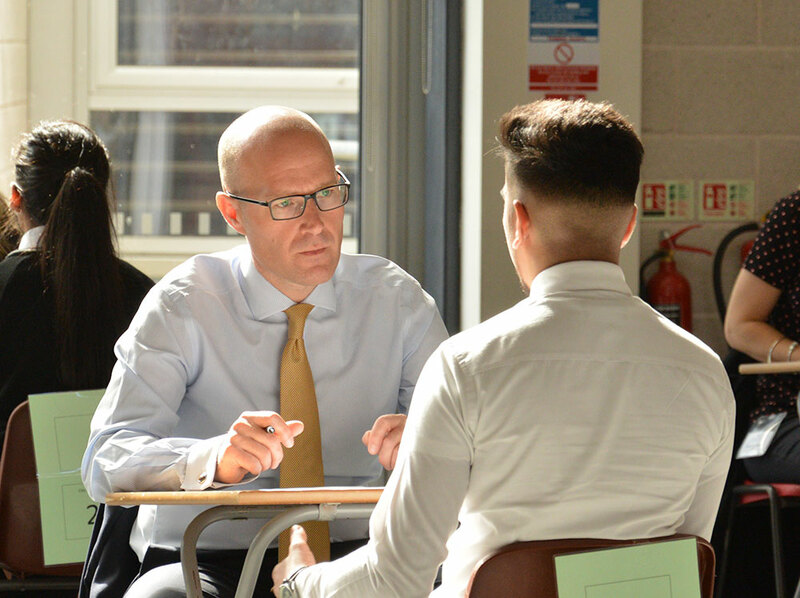 Since its launch a series of mock interviews and cv writing workshops involving 50 city employers has been delivered to secondary schools across the city. The programme has been met with widespread support both from the schools and the pupils themselves, who identified the need for a wider range of support. Help young people achieve their best by unlocking their true potential. We work to increase employer understanding of the many benefits of supporting young people develop their employability skills – benefits to both local employers ad the wider Derby economy. Out work is entirely dependent on employers volunteering and supporting out activities.